This book is based on detailed analysis of official documents, a victimization survey, interviews, and direct observation, seen in the overall context of the history of race relations in Britain. The author describes many of the thousands of racist attacks that have occurred in recent years and the events in the last two decades that have shaped English racism, and the political response to it. 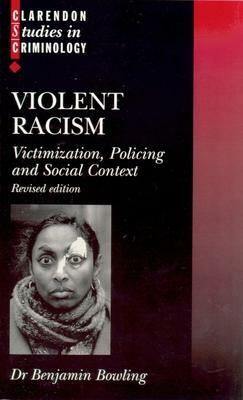 In this paperback edition Ben Bowling's Preface examines the racist murder of the black teenager, Stephen Lawrence, whose killing in cold blood on an ordinary English street in April 1993 did not hit the headlines until February 1999, causing reverberations across the whole body of British politics and beyond. Benjamin Bowling is a lecturer in Law at King's College London. He gained his doctorate from the London School of Economics whilst working as a senior research fellow in the Home Office. He was then a visiting professor at John Jay College, City University of New York.